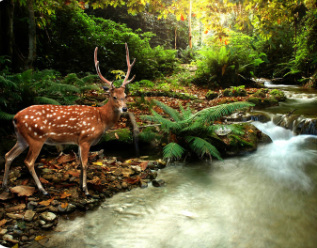 Ecology is the study of how living things interact with each other and with their environment. It is a major branch of biology, but has areas of overlap with geography, geology, climatology, and other sciences. The study of ecology begins with two fundamental concepts in ecology: the ecosystem and their organisms. Organisms are individual living things. Despite their tremendous diversity, all organisms have the same basic needs: energy and matter. These must be obtained from the environment. Therefore, organisms are not closed systems. They depend on and are influenced by their environment. 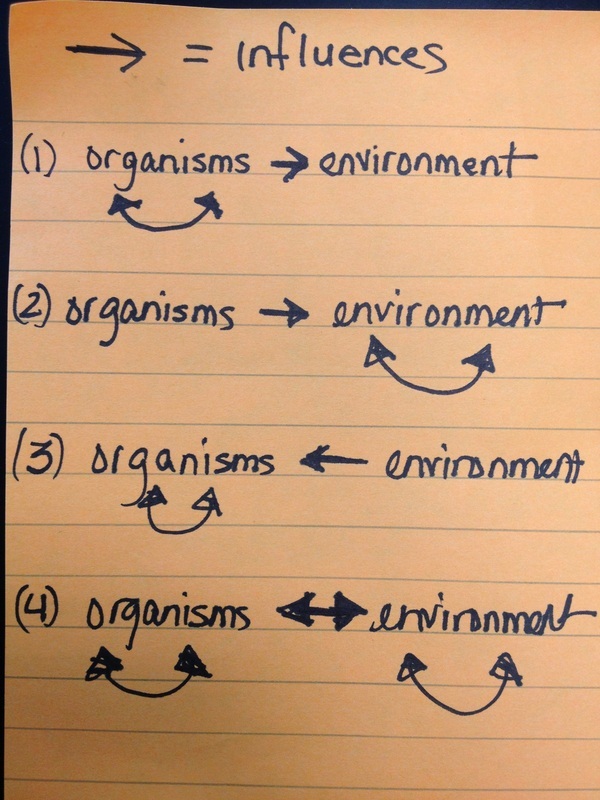 The environment includes two types of factors: abiotic and biotic. Abiotic factors are the nonliving aspects of the environment. They include factors such as sunlight, soil, temperature, and water. Biotic factors are the living aspects of the environment. They consist of other organisms, including members of the same and different species. An ecosystem is a unit of nature and the focus of study in ecology. 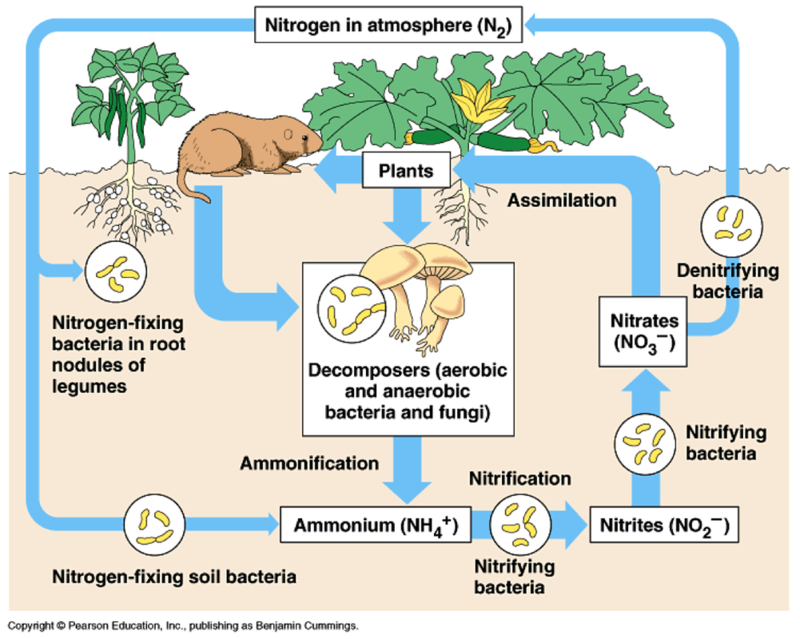 It consists of all the biotic and abiotic factors in an area and their interactions. Ecosystems can vary in size. A lake could be considered an ecosystem. So could a dead log on a forest floor. Both the lake and log contain a variety of species that interact with each other and with abiotic factors. One of the most important concepts associated with the ecosystem is the niche. A niche refers to the role of a species in its ecosystem. It includes all the ways that the species interacts with the biotic and abiotic factors of the environment. Two important aspects of a species’ niche are the food it eats and how the food is obtained. Look at Figure below. It shows pictures of birds that occupy different niches. Each species eats a different type of food and obtains the food in a different way. Bird Niches. Each of these species of birds has a beak that suits it for its niche. For example, the long slender beak of the nectarivore allows it to sip liquid nectar from flowers. The short sturdy beak of the granivore allows it to crush hard, tough grains. Symbiosis is a close relationship between two species in which at least one species benefits. For the other species, the relationship may be positive, negative, or neutral. There are three basic types of symbiosis: mutualism, commensalism, and parasitism. Mutualism is a symbiotic relationship in which both species benefit. An example of mutualism involves goby fish and shrimp. The nearly blind shrimp and the fish spend most of their time together. The shrimp maintains a burrow in the sand in which both the fish and shrimp live. When a predator comes near, the fish touches the shrimp with its tail as a warning. Then, both fish and shrimp retreat to the burrow until the predator is gone. From their relationship, the shrimp gets a warning of approaching danger. The fish gets a safe retreat and a place to lay its eggs. 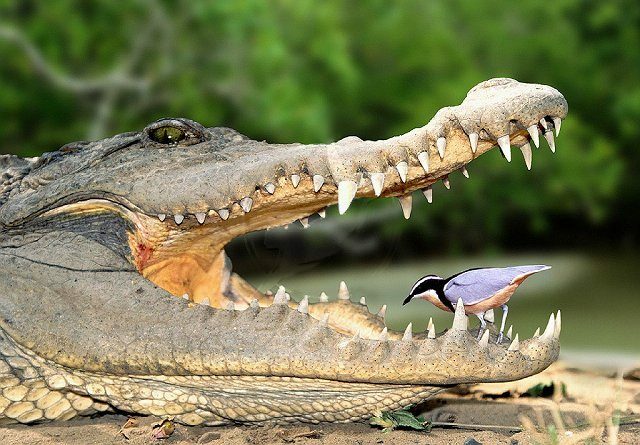 Commensalism is a symbiotic relationship in which one species benefits while the other species is not affected. One species typically uses the other for a purpose other than food. For example, mites attach themselves to larger flying insects to get a “free ride.” Hermit crabs use the shells of dead snails for homes. Parasitism is a symbiotic relationship in which one species (the parasite) benefits while the other species (the host) is harmed. Many species of animals are parasites, at least during some stage of their life. Most species are also hosts to one or more parasites. Some parasites live on the surface of their host. Others live inside their host. They may enter the host through a break in the skin or in food or water. For example, roundworms are parasites of mammals, including humans, cats, and dogs. The worms produce huge numbers of eggs, which are passed in the host’s feces to the environment. Other individuals may be infected by swallowing the eggs in contaminated food or water. Context: Biomes are based on climate, so similar ones are found in different parts of the world. Context: A deciduous forest includes trees such as elm, maple, and oak that have leaves that change color in autumn and fall off every winter. Context: Although little rain falls in a desert, a wide array of plants and animals thrive there. Context: Antelope, bison, and wolves are among the animals that live in grasslands. Context: Africa has the world's largest savannas, where herds of wildebeest, elephants, and zebras live. Context: The area that separates the tundra from the taiga is known as the tree line. Context: Some tropical forests are rain forests, where it rains much of the time; others have a wet and a dry season. Context: The tundra has permafrost, a hardened layer underneath the topsoil that remains frozen throughout the year.